Please join us on May 15, 2019 at Save The Bay Center for a RISEP luncheon and technical presentation on bioremediation techniques. Please join us for this program and a catered lunch. We welcome you to sponsor this event to support RISEP's scholarship fund, which you can do at the registration link below. Extensive research and innovations in project execution over the past two decades have made bioremediation of chlorinated solvents, particularly tetrachloroethene (PCE) and trichloroethene (TCE), a reliable cleanup practice. Addressing recalcitrant byproducts, rebound issues, and meeting stringent cleanup goals is now possible due to advances in the ability to select and deliver electron donor and nutrients (i.e., biostimulation) and the ability to identify and apply key microorganisms (bioaugmentation). Biostimulation and bioaugmentation are commonly used and cost effective aquifer remediation techniques that are addressing a growing range of groundwater contaminants, making them an increasingly practical site cleanup option for complex and challenging sites, including those with emerging contaminants. RISEP's Spring Luncheon will feature a tour of ESS Laboratory in Cranston, RI. Have you ever wondered what happens to your samples when they are sent to the laboratory? How are they prepared and analyzed? Then come join us for a unique opportunity to view the inner workings of an environmental laboratory. You will have the opportunity to visit the volatile and semi-volatile organics, metals, and classical chemistry labs and hear directly from lab personnel. A pizza lunch will also be served. We welcome you to sponsor this event to support RISEP's scholarship fund, which you can do at the registration link below. Registration is limited to 30 participants, so register today! RISEP's Spring Networking Event will be held on March 21, 2019 at Trinity Brewhouse in downtown Providence. Come join us for a very special evening of networking where you will have the opportunity to catch up with old friends and make new ones. Enjoy a menu of beer and food selections from Rhode Island's original brewpub. Registration deadline is Monday, March 18, 2019. Please vote to elect RISEP Directors for three-year terms on our Board of Directors. The poll will close on January 31, 2018. RISEP and EBC will feature several top officials from the RI Coastal Resources Management Council (CRMC). The CRMC is RI's management and regulatory agency that is responsible for the protection, preservation, development, and, where possible, the restoration of the coastal areas of the state. It provides the planning and management of RI's coastal regions by formulating policies and plans and coordinating with local, state, and federal governments. Sea level rise, coastal flooding, hazard mitigation, off shore wind power, salt pond restoration, and special area management planning are just a few of the initiatives under CRMC's jurisdiction. And under certain conditions, power-generating plants and solid waste disposal facilities come under its authority as well. Please join us on December 17 at the Save the Bay Center for a RISEP luncheon and technical presentation. Representatives from the RIDEM RIPDES Program will discuss proposed changes to the RIPDES Remediation General Permit (RGP) and the Multi-Sector General Permit (MSGP). The 2013 RIPDES RGP expired on September 30, 2018, and the 2013 RIPDES MSGP expired on August 14, 2018. The RIPDES Program has drafted revised permits that include several proposed changes, which will be discussed during RIDEM's presentations. Please join us for this program and a catered lunch. We welcome you to sponsor this program, which supports RISEP's scholarship funds. Sponsorship opportunities are available at the Gold, Silver, or Bronze levels. Invite your clients, colleagues and co-workers to join RISEP and the Environmental Business Council (EBC) for this annual festive holiday season evening of cocktails, hors d’ oeuvres, and networking at Save the Bay. Join us for the whole evening or drop in to enjoy included gourmet seasonal appetizers and a cash bar. For EBC & RISEP Members only – register five attendees for the price of four! Discount will automatically be applied during online registration. Only applies to Member rate – subsidized rate not included. Cancellations must be received by 5:00 p.m. on Wednesday, December 5 for a refund. No-shows will be charged. Please keep in mind that online registration closes at 12:00 p.m. on Wednesday, December 12. Walk-in registration is accepted at the door. Please join us on November 15 at the URI Alumni Center for a RISEP dinner and technical presentation. URI PhD student Ms. Bianca Ross will give a presentation entitled "Assessing Nitrogen Inputs to the Charlestown Coastal Watershed from Advanced Onsite Wastewater Treatment Systems." Ms. Ross is currently working on her PhD in URI's Laboratory of Soil Ecology and Microbiology. Her research focuses on the performance of advanced nitrogen-removal onsite wastewater treatment systems in Charlestown, RI, which will be the subject of her presentation. Ultimately, she hopes to find ways to optimize nitrogen removal in these advanced systems and pass her findings on to RIDEM and OWTS service providers. Please join us for this program and a catered dinner. We welcome you to sponsor this program, which supports RISEP's scholarship funds. Sponsorship opportunities are available at the Gold, Silver or Bronze levels. This RISEP/EBC Rhode Island program on Emerging Contaminants of Concern will provide an update on the status of Per- and Poly-fluoroalkyl Substances (PFAS) in relation to site characterization, treatment and regulations in Rhode Island. The program will include a brief overview of PFAS characteristics, sources of PFAS, release mechanisms and environmental fate. Presentations will include updates on the latest analytical methods, treatment options, toxicology/risk assessment challenges, site investigation case studies and review of current RIDEM regulations and status of regulating Sites with PFAS present. A panel discussion will follow the presentations to discuss the opportunities that are available to identify, quantify, and provide treatment for Contaminants of Emerging Concern focused on PFAS. Please join us on September 18, 2018 from 5:30 to 8 at The Guild, 461 Main Street, in Pawtucket, Rhode Island for RISEP's annual Summer Party. Registration includes two drink tickets. Catering will be provided by Durk's Barbecue and will include beef brisket, ribs, chicken and pulled pork. Come enjoy local craft beer and a barbecue among colleagues and friends. Guests are welcome. RISEP will present our annual scholarship awards at the event. We welcome you to sponsor this program, which supports RISEP's Scholarship fund. Sponsorship opportunities are available at the Gold, Silver or Bronze levels. The Certified Floodplain Manager (CFM) program: what is it and what are the benefits of becoming a CFM? 1.5 AICP CM Credits offered. More information about RIFMA can be found at https://www.riflood.org/. Please join us on May 30th at Save the Bay for a special luncheon to benefit the Rhode Island Envirothon. All proceeds will support the Rhode Island Envirothon's winning team and go toward their expenses to attend the national competition in Idaho. The winning team, former members and coaches will discuss the Envirothon competition and it's mission. The cost to attend this luncheon is $25. To learn more about the Rhode Island Envirothon click here. RISEP will hold our spring networking event on Thursday March 22th from 5:30 pm to 8:30 pm at Breaktime Bowl and Bar, located in the Hope Artiste Village in Pawtucket. Hope Artiste Village, former Hope Webbing, is one of the largest successful mill restoration projects in Rhode Island. Come join us for a very special evening of networking where you will have the opportunity to catch up with old friends and make new ones while enjoying an evening of appetizers, beer and bowling. Two Red Sox tickets will be awarded to the high bowler. We welcome you to sponsor this event to support RISEP's scholarship fund, which you can do at the registration link below or by contacting Rick Carlone by email or at (401) 427-2776. RISEP invites member firms to sign up for a “Meet and Greet” presentation at a RISEP technical luncheon: a 2-5-minute overview of your business and a reserved display space on our registration table. This provides an opportunity to encourage networking among members and luncheon participants. To sign up your firm for a presentation date, please contact info@risep.org. Please spread the word to colleagues who are not yet RISEP members. February 13, 2018 - RISEP 2018 Winter Party, with Guest Speaker Ms. Janet Coit, Director, RIDEM. Held at Easy Entertaining, Rising SUn Mills, Providence, RI. February 12, 2018 - Joint RISEP and Renew Energy Initiative Technical Luncheon: Off-Shore Wind in RI and Beyond: The Story of Deepwater Wind, presented by Jeffery Grybowski, CEO, Deepwater Wind. Held at Save the BAy, Providence, RI. January 26, 2018 - Joint RISEP and RIDEM Hazardous Waste E-Manifest and Biennial Report Training. Held at Save the Bay, Providence, RI. Download the presentation information here. December 5, 2017 - RISEP Technical Luncheon - Thermal Remediation Technology Overview and Practical Applications, presented by TerraTherm, Inc. Held at the Rhode Island Foundation, Providence, RI. Download the presentation here. November 9, 2017 - RISEP 2017 Fall Networking Event, Trinity Brewhouse, Providence, RI, 5:30-8:30. SEPTEMBER 12, 2017 - RISEP Scholarship Award Ceremony/RISEP 2017 SUmmer Party. Held at Twelve Acres in North Providence, Rhode Island from 5-8 PM. October 12, 2017 - RISEP Technical Luncheon, "Environmental grade potassium persulfate and its applications in insitu remediation," presented by PeroxyChem. Held at Save the Bay, Providence, RI. OCTOBER 10, 2017 - JOINT RISEP/EBC Program, Briefing by the RIDEM Bureau of Environmental Protection Leadership. Held at the Rhode Island Department of Environmental Management (RIDEM) from 1 to 5 pm. June 12, 2017 - RISEP Technical Luncheon, "The Biogeochemical Toolbox: Enhancing Natural Remedial Processes," presented by Karen Kinsella from GZA, Geoenvironmental, Inc. Held at Save the Bay, Providence, RI. Download the presentation here. 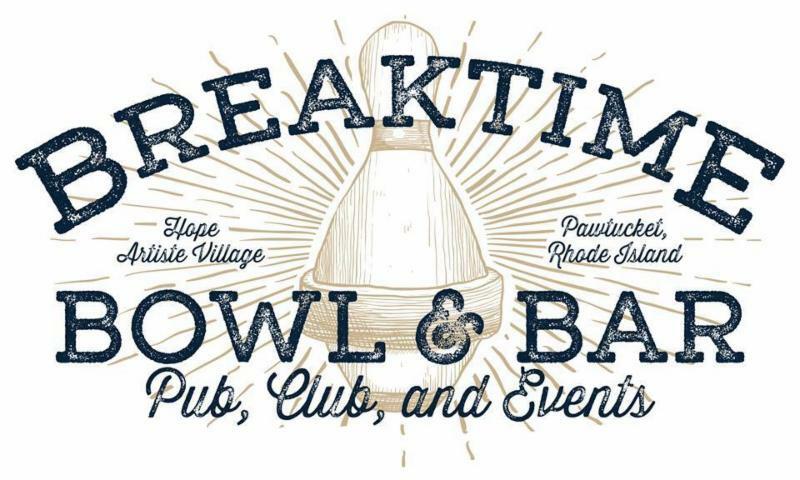 March 30, 2017 - RISEP 2017 Spring Networking Event, Breaktime Bowl and Bar, Pawtucket, RI, 5:30-8:30. March 7, 2017 - RISEP Technical Luncheon, "Sea Level Rise and Resilience" presented by Grover Fugate, Director, CRMC. Save the Bay, Providence, RI. Download the presentation here. January 25, 2017 - RISEP Winter Party with RIDEM Direct Janet Coit. Local 121, Providence, RI, 5:30-8:30 PM. November 3, 2016 - RISEP Networking Event at Trinity Brewhouse, Providence, RI, 5:30-8:30 PM. August 18, 2016 - RISEP/EBC Summar Garden Party at Shechtman Halperin Savage, LLP, Pawtuckey, RI, 5:30-8:30 PM. May 14, 2016 - RISEP Technical Luncheon on High Resolution Site Characterization presented by Cascade. Rhode Island Foundation, Providence, RI. March 24, 2016 - RISEP 2016 Spring Networking Event at the Breaktime Bowl and Bar, Hope Artiste Village, Pawtucket, Rhode Island, 5:30-8:30 PM. February 29, 2016 - Joint RISEP and APA Leap Day Luncheon with the RIDEM Division of Planning and CRMC, discucssing Rhode Island's Statewide Water Quality Management Plan Update. DOWNLOAD THE PRESENTATION HERE. January 13, 2016 - RISEP Winter Party with RIDEM Director Janet Coit. Rising Sun Miil/Easy Entertaining, Providence, RI, 6-9 PM. November 4, 2015 - RISEP & EBC. Fall NEtworking Event. Trinity Brewhouse, Providence, RI, 5:30-8:30. October 20, 2015 - RISEP & EBC Joint Technical Luncheon. RIDEM presentation on recent changes to RIDEM's RI Pollutant Discharge Elimination System (RIPDES) stormwater permitting program. Rhode Island Foundation, Providence, RI, from 12-2 PM. September 10, 2015 - RISEP Annual Summer Party at Kempenaar's Clambake Club, 323 Valley Road, Middletown, RI., from 5:30-8:30 PM. July 22, 2015 - EBC Rhode Island Chapter and RISEP program on the Resilient Rhode Island Act, at Adler Pollock & Sheehan, One Citizens Plaza, 8th Floor, in Providence Rhode Island, from 8:30 AM to 12 noon. May 26, 2015 - RISEP Technical Luncheon on the Coventry Landfill Contaminated Soil Beneficial Reuse Program. Save the Bay, Providence, RI. See RISEP Recent Meeting Downloads for a copy of the presentation. April 30, 2015 - RISEP Spring Networking Event. Hope Artiste Village, Pawtucket, RI. March 24, 2015 - Technical Luncheon with Ashley Blauvelt of RIDEM, discussing the new RIDEM "Guidelines for the Management of Historically Agricultural Properties for Future Use as Open Space and/or Recreational Use". Radisson, Warwick, RI. See RISEP Recent Meeting Downloads for a copy of the presentation. December 12, 2014 - RISEP Fall Luncheon, Ambient Air Quality Monitoring Networks and Compliance, Save the Bay Center, Providence, RI. November 20, 2014 - RISEP 25th Anniversary Celebration and Dinner, Rising Sun Mills, Providence, RI. October 30, 2014 - RISEP Networking Event, Trinity Brewhouse, Providence, RI. September 16, 2014 - RISEP and SWEP-CT Joint Networking Event, Mystic Seaport, CT.
May 15, 2014 – RISEP Board of Director’s Meeting, Valley Country Club. May 13, 2014 – RISEP Spring Luncheon, Update on Rhode Island's Comprehensive Solid Waste Management Plan. April 30, 2014 – RISEP Annual Business Networking Event, Valley Country Club. March 27, 2014 – RISEP Continuing Education Course, “FUNdamentals of Organic Chemistry”, Amica. January 16, 2014 – RISEP Annual Dinner and Winter Bash, Squantum Club. December 4, 2013 – RISEP December Lunch and Learn Program with RIDEM. November 7, 2013 – RISEP Annual Networking Event, Trinity Brewhouse. September 18, 2013 – RISEP September Lunch and Learn Program. Fundamentals of In Situ Injection Remediation with Redox Tech, LLC. September 11, 2013 – RISEP Annual Summer Social, Yawgoo Bakes. June 26, 2013 – RISEP Lunch and Learn. Performing Due Diligence: Updates on the ASTM E-1527-05 Standard and Legal Perspectives of Deals with Environmental Data Resources, Inc. and Robinson & Cole LLP. April 26, 2013 – Joint RISEP and American Planning Association, RI Chapter Lunch and Learn. Rhode Island Sustainable Communities Initiative. February 28, 2013 – Joint RISEP and Environmental Business Council Winter Bash, Trinity Brewhouse. December 12, 2012 – RISEP Lunch and Learn. RIDEM Office of Waste Management, New Initiatives Briefing and Joint Presentation of the new Guidelines for Expedited Excavation and Disposal Response Actions General Permit. November 7, 2012 – RISEP Lunch and Learn. Green Biofuels with Tomorrow Biofuels. September 13, 2012 – RISEP Summer Bash and Sailing on the schooner Aurora, Regatta Place, Newport. October 23, 2012 – RISEP Technical Tour of Providence Water’s Holton Purification Plant, Scituate. March 22, 2012 – RISEP Lunch and Learn with Julian Dash, Director of RI Economic Development Corporation's Renewable Energy Fund.